Home > Dining Coupons > Krispy Kreme | Free Coffee & Doughnut! Krispy Kreme | Free Coffee & Doughnut! Heads up Krispy Kreme fans! Mark your calendars for 9/29 to get a FREE doughnut and a FREE cup of coffee (any size!) at participating Krispy Kreme stores. 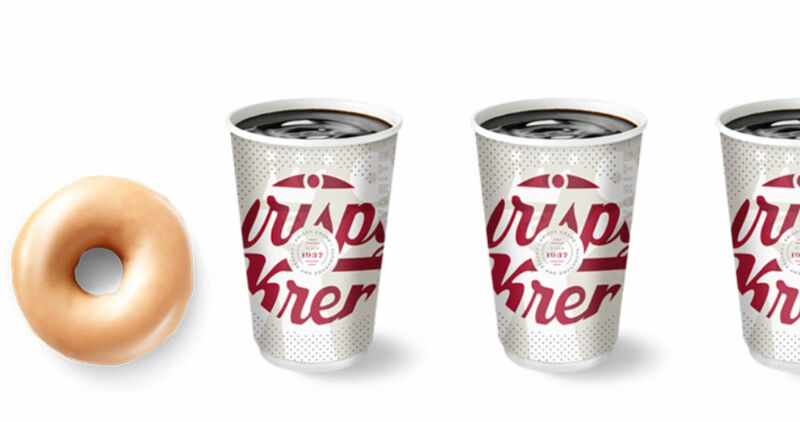 Anyone can grab the cup of coffee, but you must be a Krispy Kreme Rewards member to get the doughnut freebie (it’s FREE to sign-up). To see if your local store is participating, make sure to check Krispy Kreme’s website. This offer is valid on 9/29 only (it’s National Coffee Day! ).